Norbord said production will resume in two weeks at the High Level, Alberta, OSB panel mill after a May 4 fire in the mill yard caused a temporary closure. Photo: Mackenzie County. 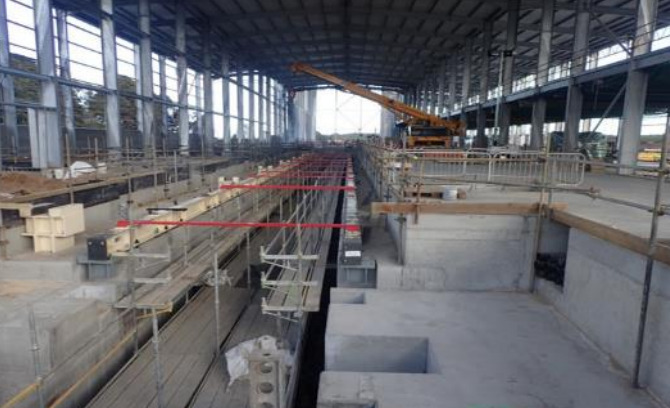 HIGH LEVEL, Alberta - Norbord Inc. says it will reopen its OSB mill in High Level, Alberta, in two weeks after a May 4 fire curtailed operations at the composite panel manufacturing facility. The fire started at the mill yard, and while there have been no statements as to what started the blaze. 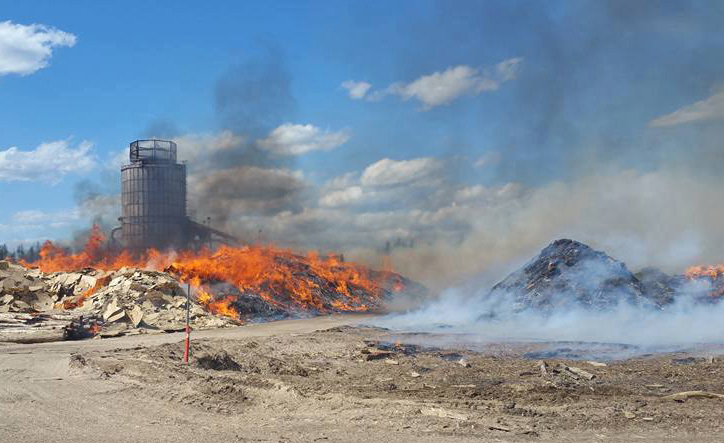 While it is not believed to be related to the forest fires in the surrounding area, Norbord said the hot, dry, windy weather conditions in northern Alberta caused the fire to quickly spread to the log storage area outside the plant. The company said as a precaution it immediately suspended production at the mill. No injuries were reported. 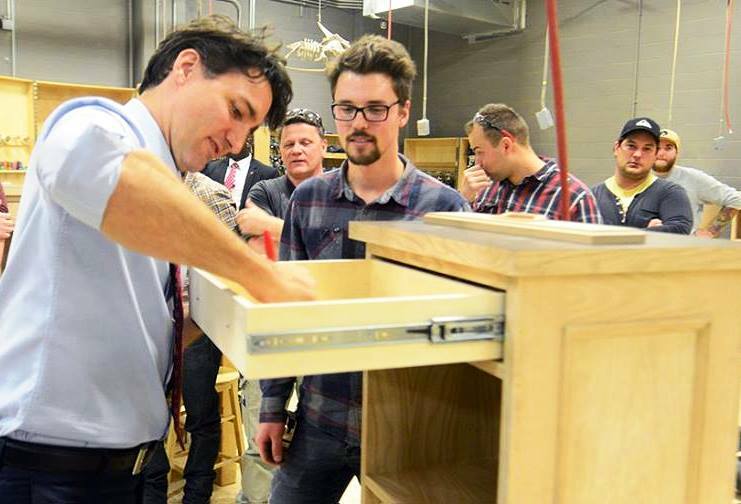 Canada's Prime Minister Justin Trudeau learned something about carpentry from students at the Southern Alberta Institute of Technology in Calgary. 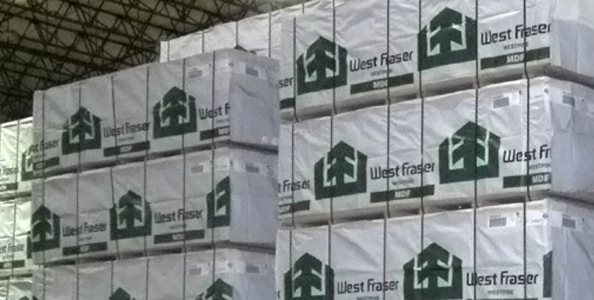 The High Level, Alberta, OSB (oriented strand board) mill has an annual production capacity of 860 million square feet (3/8-inch basis) and has been ramping up towards full production since resuming operations in late 2013, the company said. Fire crews contained the fire to one end of the log storage area outside the mill. Production is expected to resume by the end of the month, while Norbord said it has already resumed shipping from its finished goods inventory. Based in Toronto, Ontario, Norbord Inc. is the world’s largest producer of OSB, which is used for the home construction, repair and remodeling, as well as industrial uses. The company has 13 OSB mills in North America. Norbord also has four mills in Europe for manufacturing OSB, particleboard and MDF for use in furniture and home construction. Norbord has assets of approximately $1.7 billion and employs approximately 2,600 people. Last month Norbord (TSX and NYSE: OSB) reported its earnings had quadrupled for the first quarter of 2016, reaching $61 million compared to $16 million in the first quarter of 2015. The year-over-year improvement was attributed to higher North American OSB prices and shipment volume, as well as lower resin prices and the weaker Canadian dollar.